If bitcoin gaming is one of the most popular ways to win bitcoins, why not try making your own bitcoin game to earn more? At Bitsplay, this is definitely more than possible. In fact, this site is the Satoshi Dice Bitcoin Game Creator and it allows people not only to play customized Bitcoin dice games but also to make their own games to earn good sums of quick money, of course in bitcoins. This Bitcoin gambling platform is just new in the bitcoin betting industry having been launched recently. However, they have assured that you can trust them since all of their games are provably fair. More than that, you can sure verify these games using the method available in their ‘Proof’ section. In this page, you can view the transaction hash; daily server seed, game name, and transaction message along with the PHP script to verify all the results. How to Make Your Own Game at Bitsplay? All you have to do is click the ‘Create Game’ button and follow the simple instructions given. It will be necessary for you to setup a game name, edge, and your bitcoin address which will be used for profit split. The term ‘Edge’ refers to a number anywhere between 0 and 100. If it is less than or equal to 1%, it is a must to make a first deposit of 4 BTC for you to start a game and at least 10 BTC for edge less than 0.25%. Once you have completed this step, your custom ‘Satoshi Dice’ game will be created and you just needed to have it promoted as the more people to play it, the more you will earn. The profit ratio will get in this bitcoin betting site is 70:30, wherein you will get the 70% and they will keep the remaining 30%. The lower portion will be used to keep the game active and pay for all the server resources. If you created a game with house edge lower than 1%, activation fee for your game will be collected. On the other hand, if your game hits 50 BTC in its overall balance, this game will automatically be stopped and the addresses will be turned to deposit addresses. All of the coming sums of bitcoins will go right straight to the game bank. 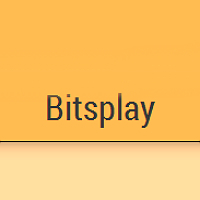 Can you play at Bitsplay? Absolutely. With the available Bitcoin dice game script, they offer custom games setup for all the users and you can sure play the way you want it at any time of the day. There are also varied house edge and win percentages offered. These games are specially tailored for the players with 1% and 2% edge. With your own bitcoin game, you can sure get additional bitcoin profits. Bitsplay is indeed a good Bitcoin gambling site to those who want a fast route to gain more. As mentioned, this is site is new so there are still few players testing the waters. Want to have a taste of what Bitsplay offers? Read more now! How Can Generic Casino Dice Scripts and Clones Affect Dice Betting?